The filter housing of the Carbonit DWS-30 is made of heavy-set stainless steel and has a volume of 30 liters. 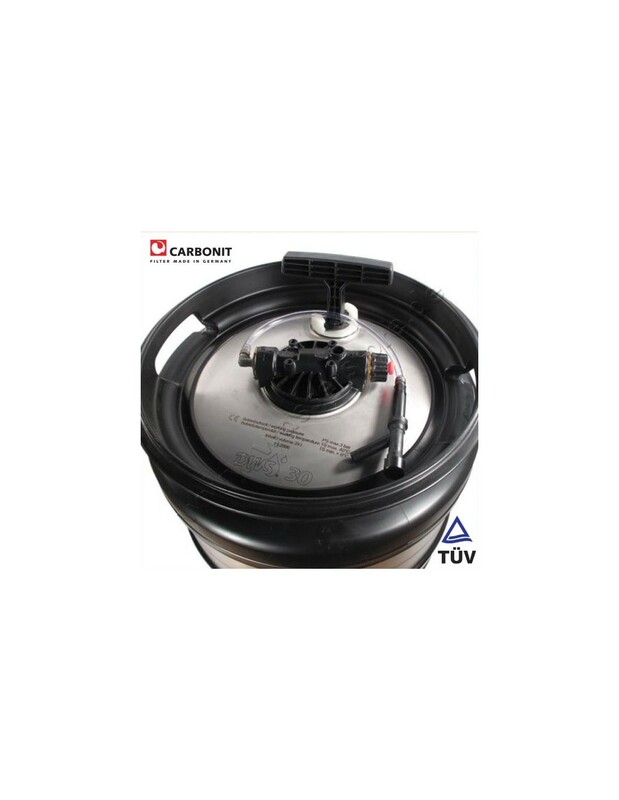 By pumping with an integrated hand pump, pressure is built up inside the container. 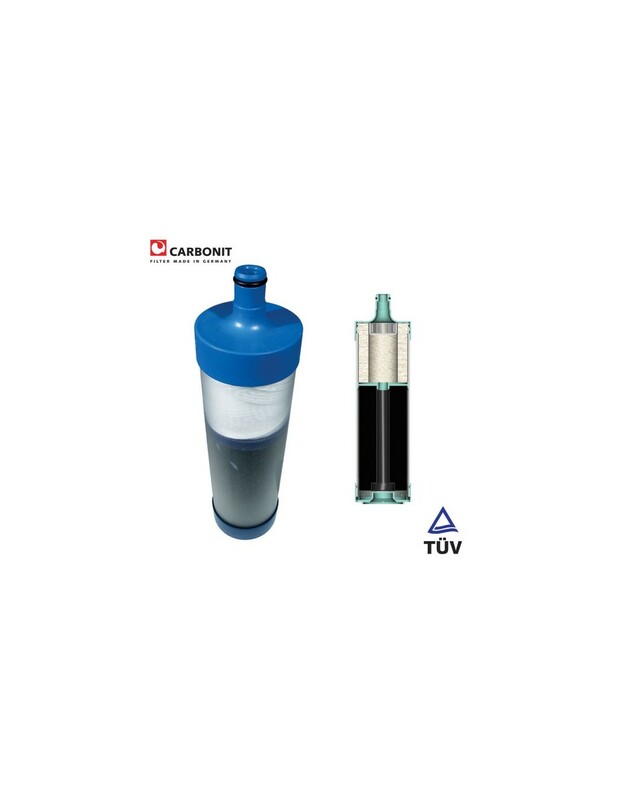 The water is pressed through a Carbonit Clario filter element. 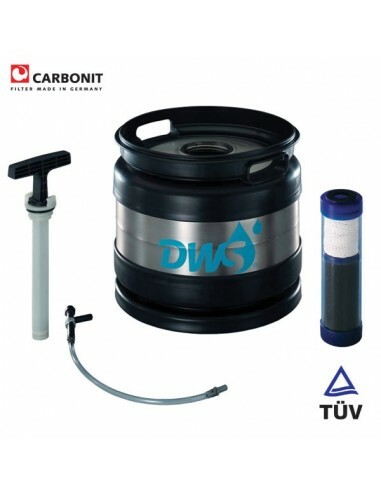 Safe, clean drinking water can be tapped from a hose with faucet. 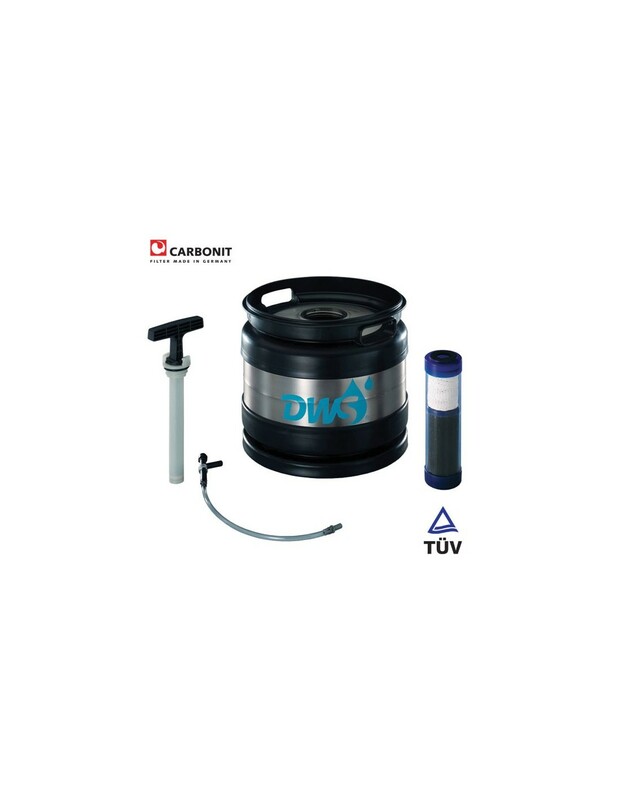 The Carbonit DWS-30 emergency water filter can filtrate up to 3 liters per minute. Therefore, this filter is suitable for use by larger groups. In case of emergencies, it can accommodate up to 300 people. Hand pump. The water that has to be treated is poured into the stainless steel container. 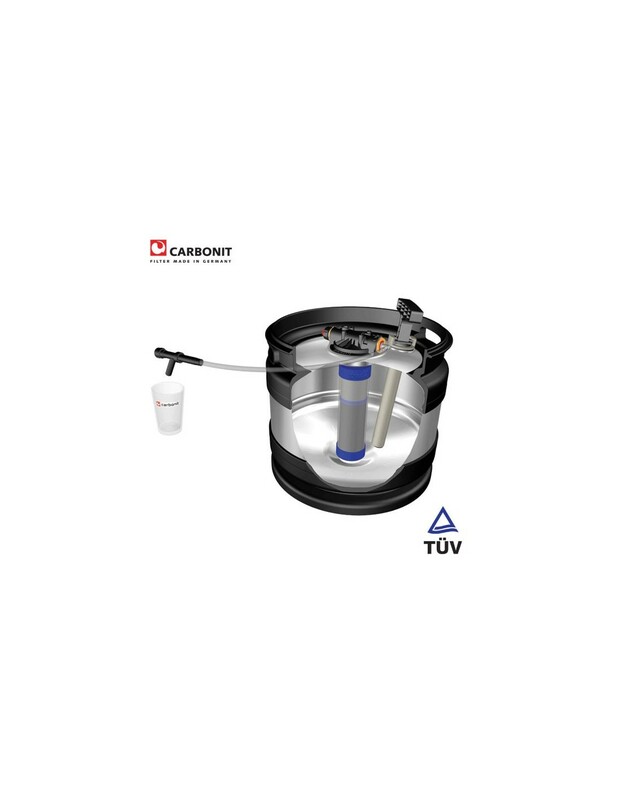 By pumping the integrated hand pump, pressure is built up inside the container, forcing the water to flow through the Carbonit Clario filter element. 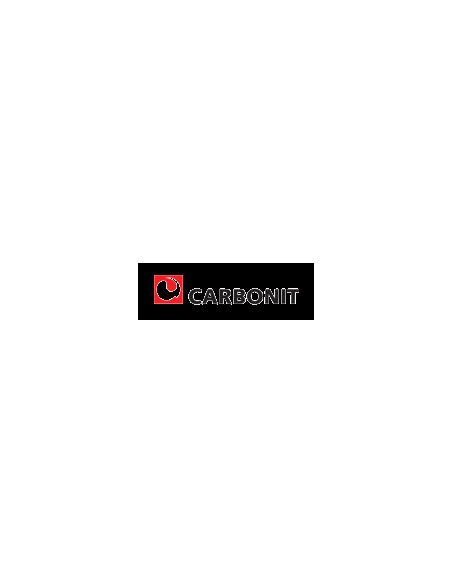 Click on this link for the Carbonit Clario filter specifications. We are located in a remote village and last month there was a problem with the main water supply. We took water from a stream nearby and filtered it with this filter. Then, we had enough water to also give some to our neighbours.